Today was a fabulous day! I have been looking forward to it for a couple of months. Our friends Bret and Yukari invited us to go to a Kabuki performance with them. Yukari loves Kabuki and attends a performance about once a month. After today I think I could probably attend once a month, too. My love of theater began as a child when my great aunt decided it was her responsibility to make sure my sister and I had cultural experiences. This included plays at the University of Utah, performances geared to children by the Utah Symphony and Ballet West. She was still giving me tickets to performances when I was in high school. While my friends were attending rock concerts, I was watching Man of La Mancha. Anyway, back to Kabuki…Kabuki is a 400 year old art of dance and drama, famed for its elaborate costumes (the kimonos are fabulous) and all male cast. 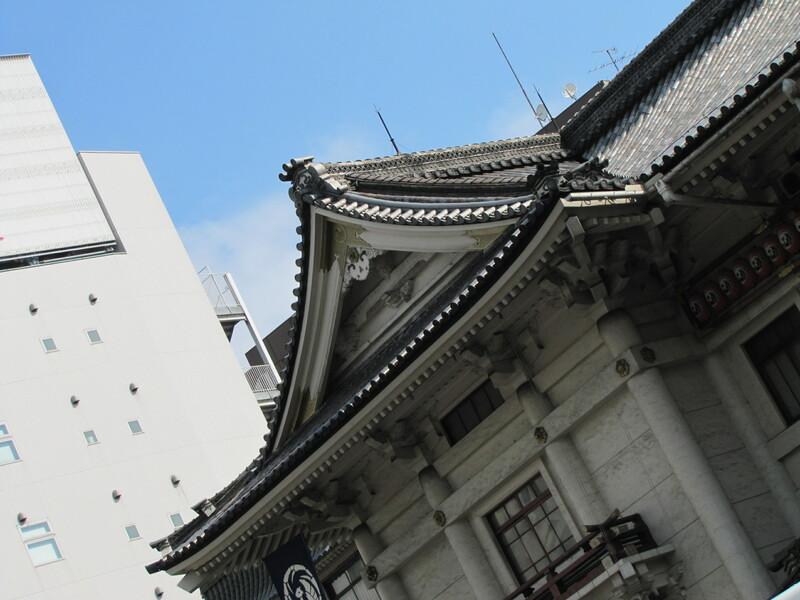 At the end of this month Kabukiza performers and longtime patrons will say goodbye to the legendary Kabukiza (theater). 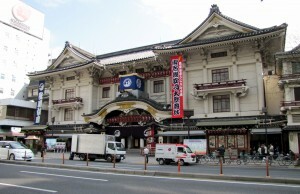 The current theater is 65 years old. It is being closed to make way for a modern replacement. 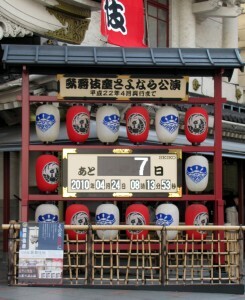 A digital clock near the front entrance counts down the seconds until the final act. You can see that there are only 7 days left. One of the main reasons for building a new theater is for safety. 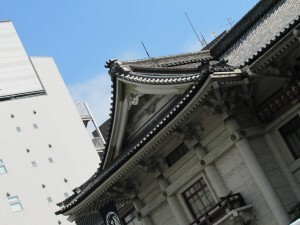 The current building would be dangerous in a major earthquake. We arrived for the performance a few minutes early and rented English earphone guides. This was vital in helping us understand the performance. Yukari explained that the performances this month are different than usual. We saw parts from 3 different plays. The first part was over an hour long. It was the second half of one of the most famous Kabuki plays, Terakoya. 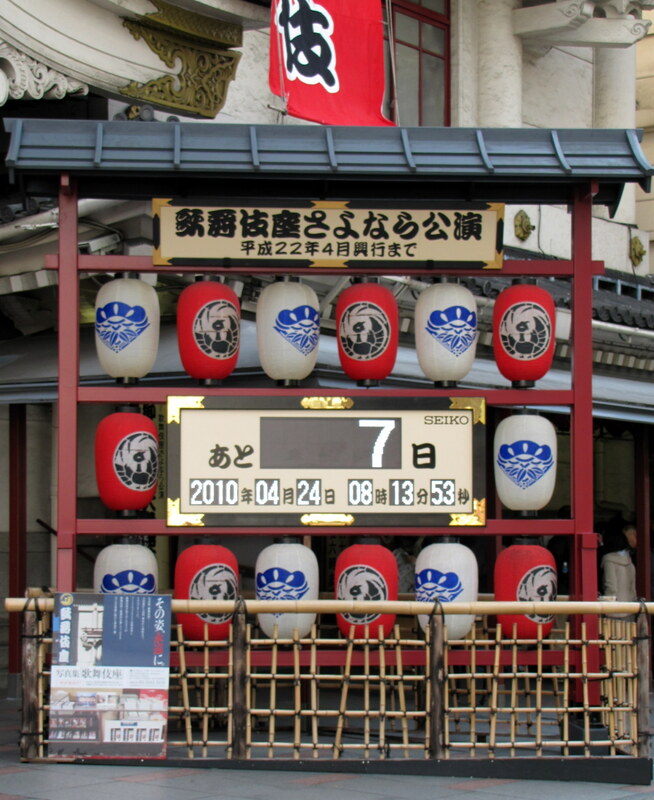 It also happened to be the the first kabuki performance Yukari saw. She told us how she had cried when she saw it the first time and quickly bought a ticket so she could see the first part. She has been attending ever since. It was a beautiful, but tragic play. The second play was a bit lighter and was about three thieves, . The final performance was a dance. 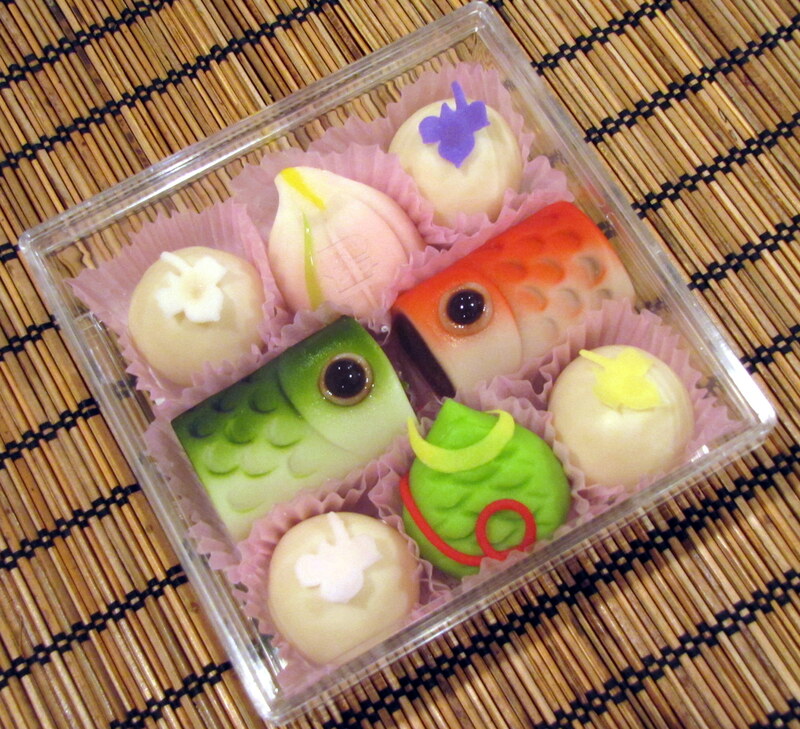 I really love Japanese sweets. These are filled with anko (red bean paste). It’s one of my favorites and these were just so kawai (cute)! Following the performance, we had dinner at a tempura restaurant nearby. It was a wonderful day with good friends. I hope to be able to go to Kabuki again. 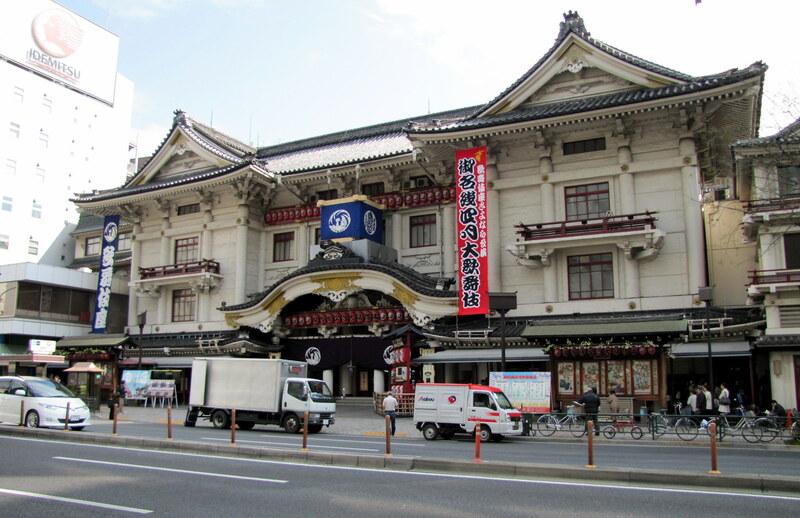 Although, Kabukiza will be torn down and it will take 3 years for the new theater to be completed, the performances will continue at a nearby venue. I hope to be able to see the first part of the first play we saw today. Wow! I didn’t know what I had been missing.